Frank Mechling, born in 1971, ist he managing director of The Hamburg-Cruiser und a real „Hamburger“. 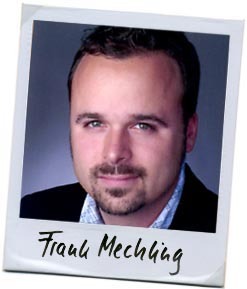 After graduating in political economy and working as a journalist he and his wife Susanne founded the company Meck-PR (www.meck-pr.de) in 2004 – an agency for public relations and events. 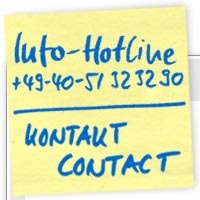 In 2006 the agency opened another scope of business called The Hamburg-Cruiser. Full of enthusiasm the “Mate” shows you his beloved hometown, is your driver on most of the tours and gives you live-commentaries in German and/or English. 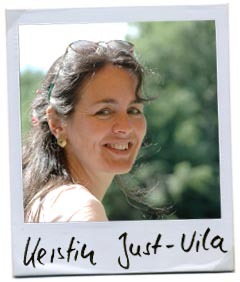 Kerstin Just-Vila is the talented linguistic allrounder in the team of The Hamburg-Cruiser: She was born in Hamburg and as a little girl she fell in love with the Spanish language that she adapted autodidactically in the beginning. After her highschool-time the mother of two children not only graduated at university with a translator-diploma for Spanish, Catalan and French but she also married a Spaniard. 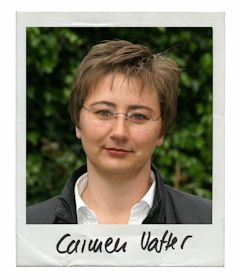 Full of charme Kerstin Just-Vila presents sightseeing tours and guided walking tours for The Hamburg-Cruiser in Spanish and Catalan as well as in German and English. One of the most experienced bus drivers enriches the team of The Hamburg-Cruiser since autumn 2012: Torsten Hartmann, grown up in Germany’s East of Uckermark. He has been on the road as a bus driver since 1987. In the Hamburg region he previously guaranteed maximum customer satisfaction in the companies KVG and Hanse Welcome. The Brandenburger downright fell in love with Hamburg and appreciates the city as„the most beautiful worldwide“ with its variety of Port, lake Alster, the party district of St. Pauli and the vibrant culture scene. 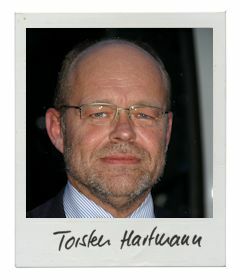 Torsten Hartmann doesn’t only know Hamburg like the back of his hand but has been travelling through all of Europe by bus, always keen to learn new things and to make his guests happy. 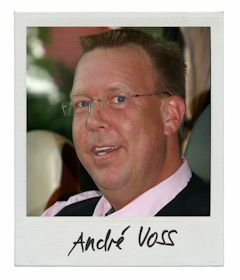 As a typical qualified merchant André Voss is characterized by a significant service mentality. At the same time he had been carrying around an unfulfilled childhood dream for many years: bus driver. With obtaining the bus driving licence and the start of his job with The Hamburg-Cruiser in early 2013 that dream came true. Since then he has been mastering the various sizes of our vehicles with flying colors and inspires our guests with his customer-oriented service - during Hamburg tours, but also Germany and Europe-wide tours. 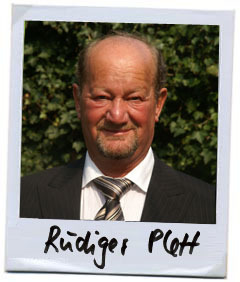 Rüdiger Plett is the heart and soul of The Hamburg-Cruiser. With over 30 years of experience as a bus driver the native Hamburger drives mastefully through narrow streets and the traffic chaos in cities like Paris. "I enjoy showing our guests beautiful sites," says the trained automotive mechanic. "I know almost all cities in Europe, but the most beautiful one is Hamburg with its incredible diversity." The vans and coaches of The Hamburg-Cruiser have been driven by Rüdiger Plett since 2008. A life without water - for André Persike an inconceivable thought. Growing up on a ship the Swiss in team of The Hamburg-Cruiser needs proximity to Alster, Elbe and Bille. Also unthinkable for the qualified body maker is a life without a bus under his command. Although he was only born in 1973 André Persike brings more than 20 years of professional experience at the wheel of buses of all sizes. 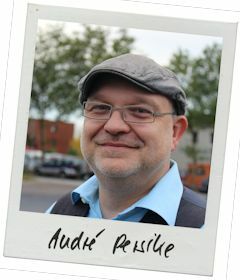 He loves to be on the road and to share new impressions with his guests. Since October 2013, he reinforces our company. 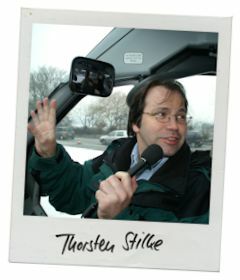 Thorsten Stilke is our expert for English, German and first and foremost Chinese Tours. The sinologist has been working for The Hamburg-Cruiser since 2009: In addition to tours in Hamburg the port-enthusiast takes on a job of translating into Chinese or vice versa as well as tour guiding of Chinese delegations to Lübeck, Berlin or Dresden and around Europe. The Mandarin language skills of Thorsten Stilke this talent are so extensive that some Chinese think he is a fellow countryman. The native „Hamburger“, born in 1964, acquired this knowledge at the University of Hamburg and during a half-year course of study in the East China's Shandong province (home of Confucius). As an interpreter for a large German automobile company he stayed in Changchun between 1999 and 2001, enjoying the bitter cold winter in Manchuria.